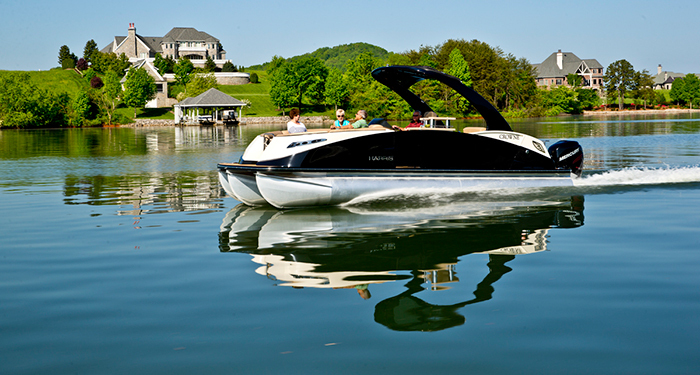 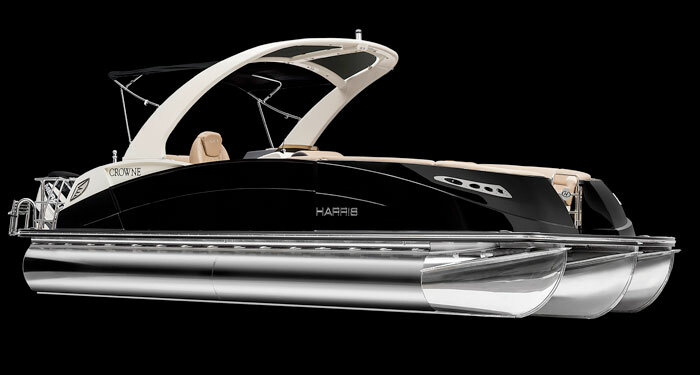 High performance and high-end luxury features abound with the Harris Crowne SL 250 Twin Engine. 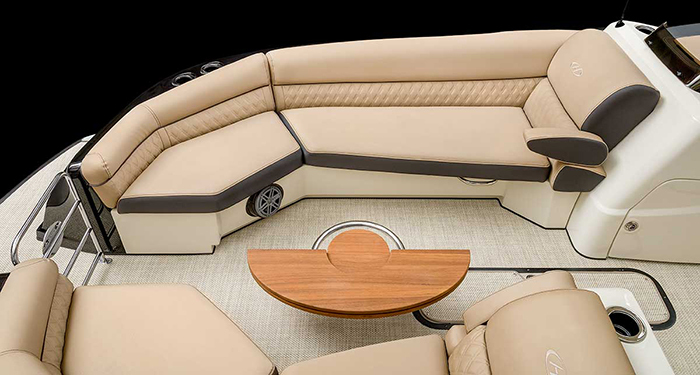 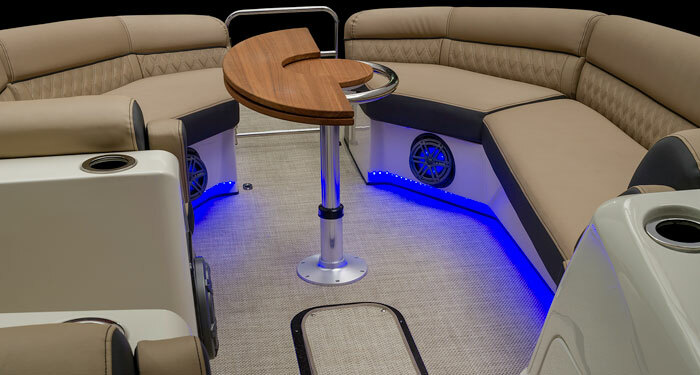 Fitted with a configuration of either twin Mercury 300HP or 350HP Verados engines — both available with Joystick Piloting for superb close-quarters handling — this luxury-class pontoon is as well-mannered as a boat can be. 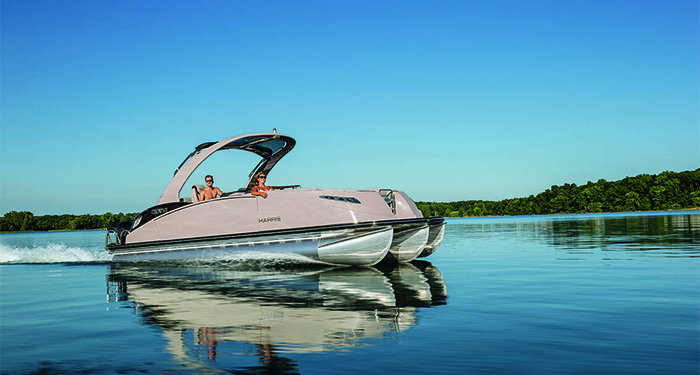 Get ready to experience powerful turns with confidence and acceleration you might not have thought possible to achieve in a pontoon. 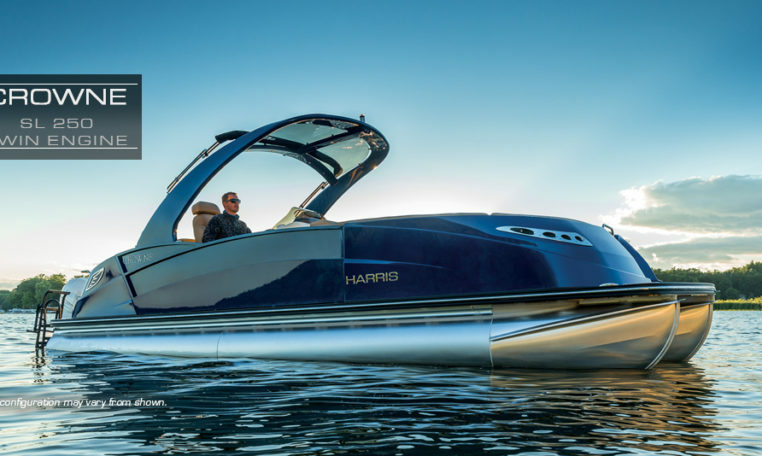 You’ll be turning heads no matter where you take this boat, especially when you have a top speed that rivals most powerboats. 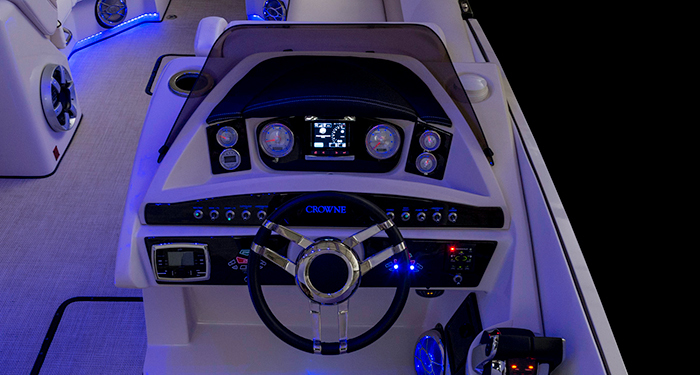 Now you can go fast in style. 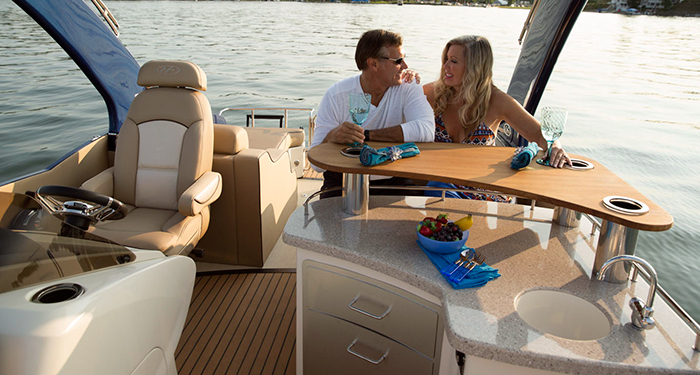 Notable standard features on the Crowne SL 250 Twin Engine include your choice of Desert Camel or Ivory Cashmere “fabric-feel” marine-grade vinyl upholstery and a Polk stereo with Polk Ultramarine App connectivity gives you complete control of the stereo from your mobile device. 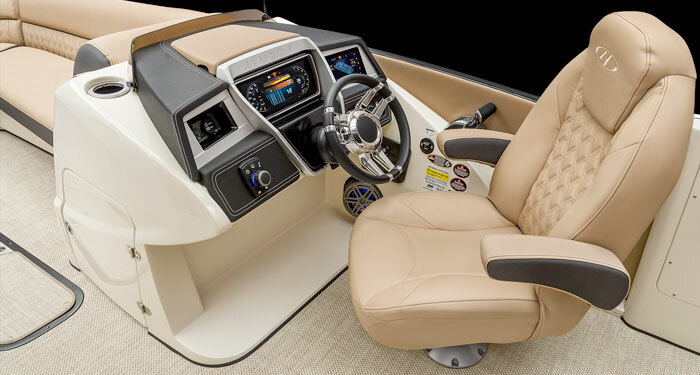 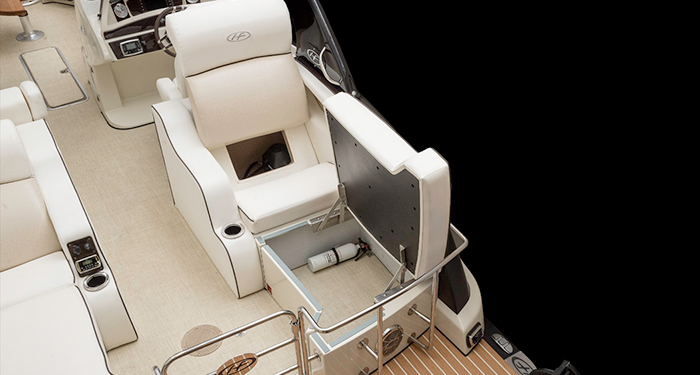 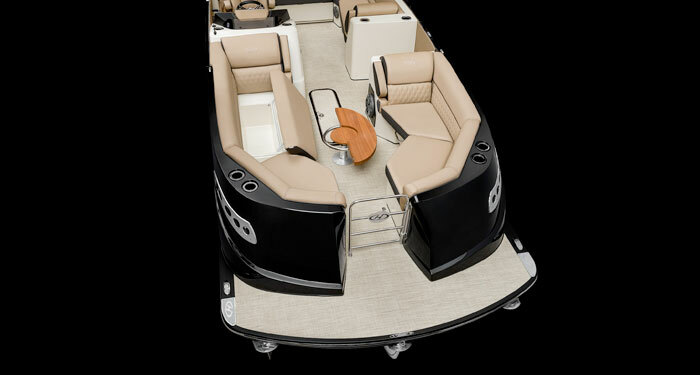 Popular options include the powered Sport Arch that easily lowers at the push of a button for clearing low bridges or boat lifts and the all new Glass Dash featuring, not one, but two touchscreens providing complete control and monitoring via 12–inch and 7-inch displays.